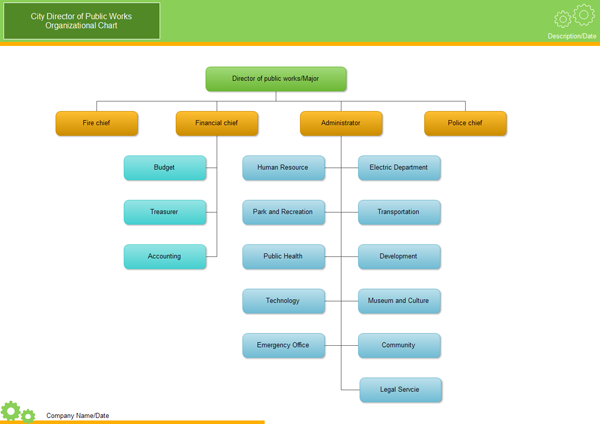 City Organizational Charts - Lots of city organization chart examples free download. City Organizational Charts - Lots of organization chart examples free download. 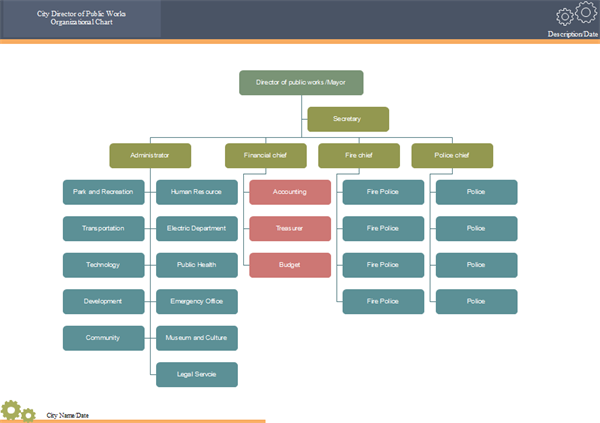 Lots of organization chart examples created by Edraw Organizational Chart Software. Include city organizational chart, computer organizational chart etc. With Edraw Organizational Chart, you can create clear and comprehensive city organizational charts with no prior experience. As you can see by studying the sample organizational chart below, these types of charts are the optimal way to illustrate the inner structure and hierarchy of a business or any other type of organization. Nothing is left unclear when structural relationships are illustrated with an organizational chart created with Edraw - the ultimate organizational chart software. Use it to create organizational charts, visualize city organizational chart, functional organizational chart, police organizational chart, government organizational chart, church organizational chart, corporate organizational chart etc. Perfect City Organizational Chart Examples Created by Edraw! 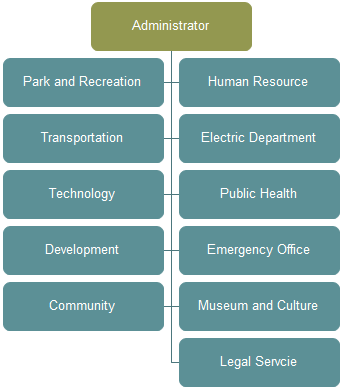 This is a relatively simple org chart, showing only the main departments. Here is another example that is more detailed. As shown by the above two examples, there are many ways to branch shapes. If there are many members in one department, you can choose to branch them in two lines symmetrically. Choose the top shape of this branch; select Tree layout style. To branch all subordinates on the left, choose Tree Left style.